Almost a year to the day since he took on the role of Kenya Sevens Performance Director and Head Coach, Paul Treu has announced he is to step down from the position after this weekend’s Nelson Mandela Bay Sevens in Port Elizabeth. 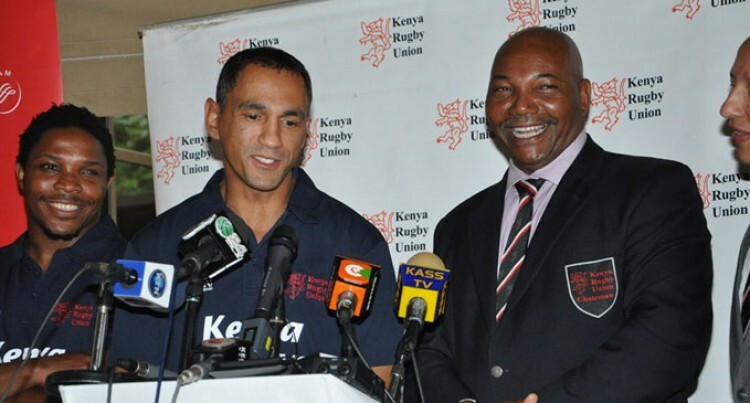 Treu succeeded Mike Friday after the former England Sevens coach also opted to resign after one year, having guided Kenya Sevens to the World Rugby Sevens World Cup 2013 semi-final in Moscow. Kenya have struggled to make an impact at the start of this year’s HSBC Sevens World Series losing in the Shield final in both the Gold Coast and Dubai tournaments, to leave them 14th in the standings with just four points to their name. Treu, who steered South Africa to the Sevens World Series title in 2009, is now considering some time away from sevens to be with his family in Cape Town. “It has been a very difficult decision, but I believe it is the right decision for me at this stage in my life,” Treu said in an official statement. “It has just been over a year since I accepted the offer from the Kenya Rugby Union to take charge of the team. We have experienced interesting times; that is for sure. “We have had challenges: highs and lows. We know that this is the nature of sport and the game of rugby that we all love. Muthee responded by voicing his appreciation for the legacy Treu leaves behind: “I must thank Paul for the professional manner in which he has conveyed his decision to me. Personally I admire his bravery of venturing into unfamiliar waters and leaving the comforts of an advanced rugby nation such as South Africa. A lot of Kenyans respect him and will salute him for that. “We saw a man determined to succeed, his vision, character and discipline was remarkable. Rest assured there are many who learnt from him.